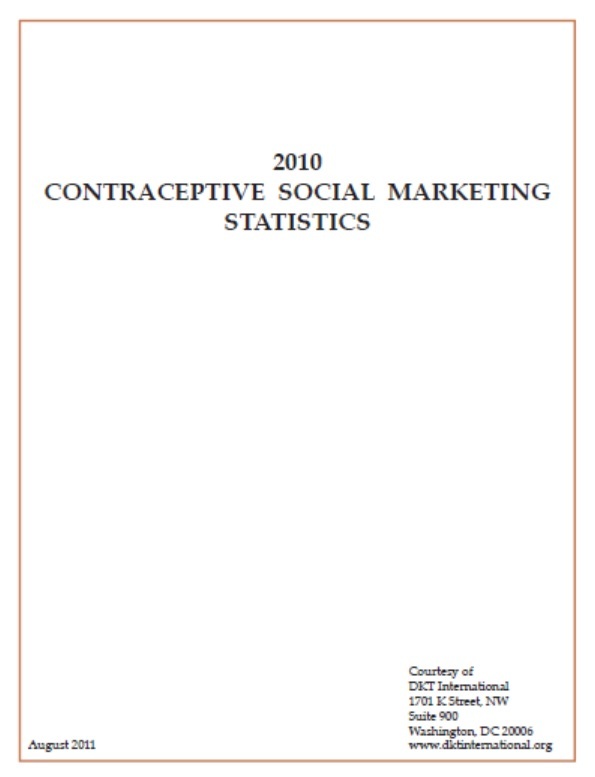 DKT International has published statistics for contraceptive social marketing programs that report their sales data to DKT annually since 1991. 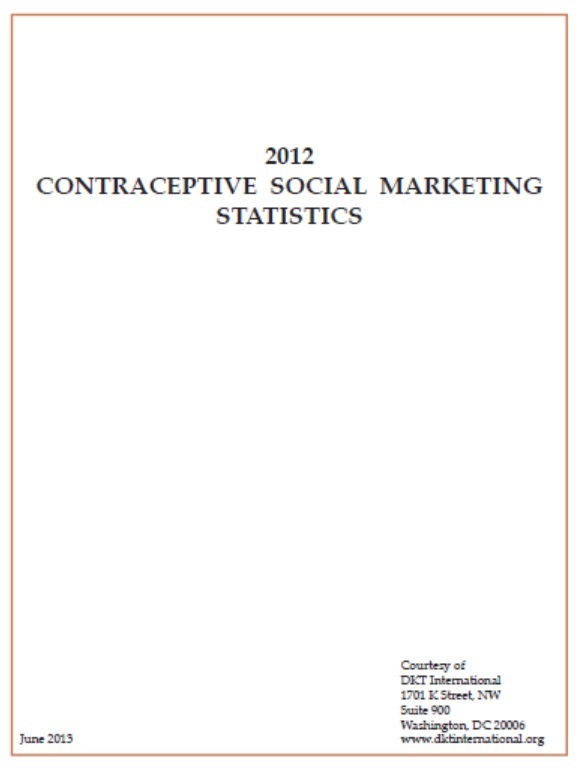 This document is the published 2012 statistics report. 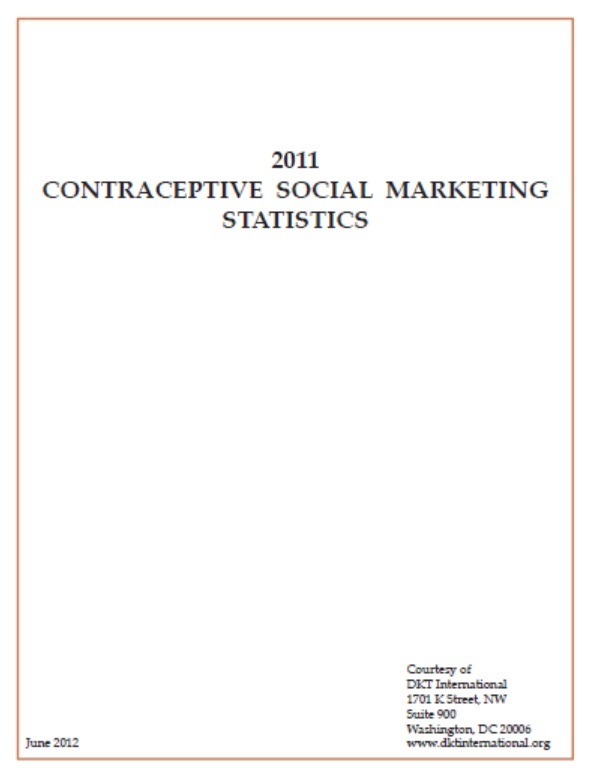 DKT International has published statistics for Contraceptive Social Marketing programs that report their sales data to DKT annually since 1991. 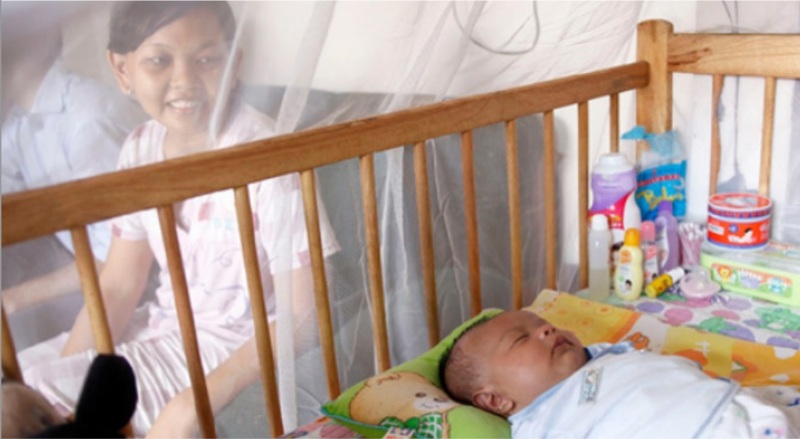 This document is the published 2010 statistics report. Social marketing is a strategy that uses marketing concepts — product design, appropriate pricing, sales and distribution, and communications — to influence behaviors that benefit individuals and communities for the greater good. 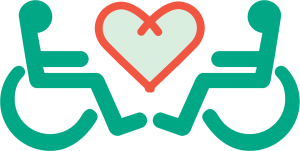 Social marketing programs sell subsidized products through commercial sector outlets like pharmacies, distribute products for free, deliver health services through social franchises, and promote behaviors not dependent upon a product or service, like hand washing.